hopf Elektronik GmbH was founded in 1972 and is your reliable and competent partner in the field of time synchronization. For more than 45 years hopf Elektronik GmbH has been developing, manufacturing and selling highly-precise time reference systems. Our in-house development, production and sales as well as our lean organization and short lines of communication guarantee the consistent high quality of our products. 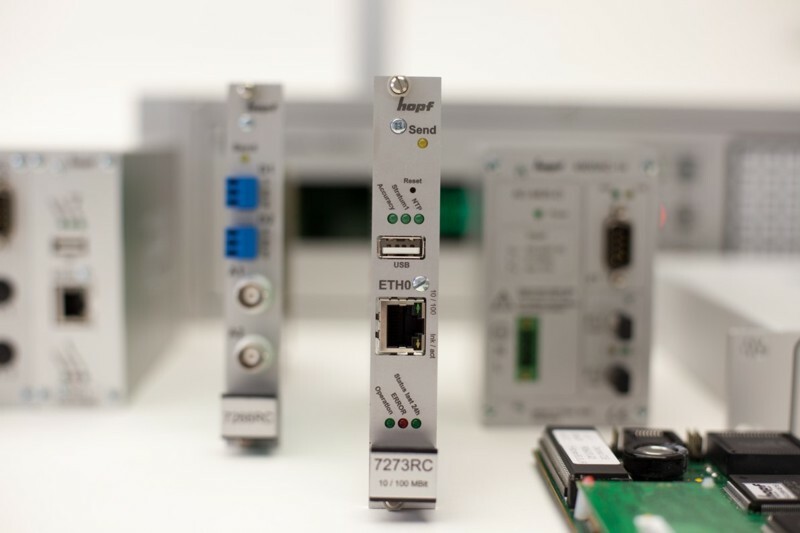 Our innovative "Made-in-Germany"-products are used by well-known companies across the globe to implement highly-precise signals for the synchronization and time stamping of industrial applications, computer networks, industrial networks or to successfully run complex industrial projects. By constant communication with our customers, continuous cooperation and support in all matters and through a network of like-minded partners, we remain at the cutting edge of customer needs worldwide. Our customers are our partners - whatever we can do for them - we do! And that's quite a lot after more than 40 years. 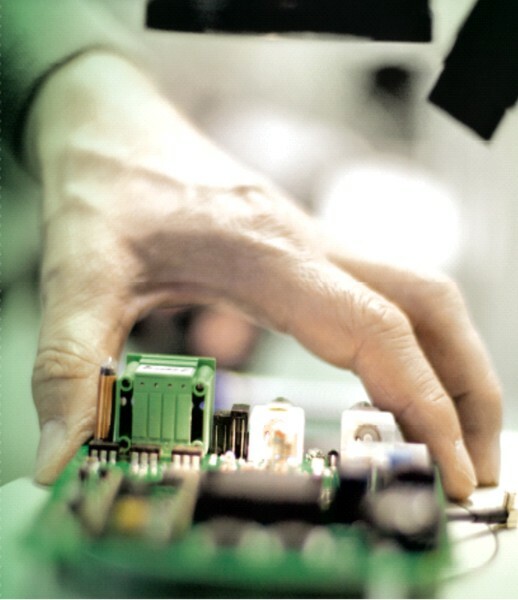 Have a look at our company presentation and get more information about hopf Elektronik GmbH! The hopf management consists of Mr. Erich Ruprecht (CEO), Mr. Wolfgang Kanovsky (CFO) and Mr. Michael Hocke (CTO). Together with a professionally qualified and highly motivated team we are able to offer our customers customized solutions and to respond to customer requests with flexibility. Our own development, production and sales, combined with a lean organization, and short lines of communication are the solid basis for our quality standard, efficiency and performance. This organizational structure allows us to react flexibly and rapidly and with innovative ideas and developments to customer requirements and market changes. In this respect the many years of experience of our staff, in conjunction with a wealth of ideas are important factors. hopf's modern production plants, precise measuring instruments, testing facilities and test equipment are the basis for the high quality of our products. 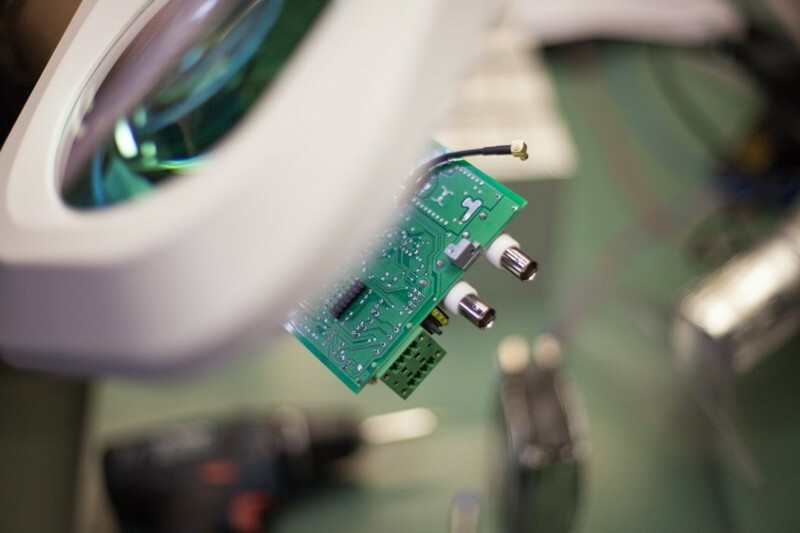 Our own development from product design to marketing and direct sales allows us to guarantee a complete process flow and to meet the high quality requirements and standards of our customers. Manufacturing processes, commissioning and a 100% final testing of all our products are in accordance with the relevant regulations and standards. Customers' needs and satisfaction are our yardsticks and always contribute to the revision and optimization of our production processes. Competent customer consulting from the first inquiry to after-sales service and support after successful commissioning is the hopf company's basic objective. We are committed to the quality requirements of our customers and the label "Made in Germany", marked on our products. Our products are manufactured at our production facility in Lüdenscheid, located in the idyllic "Sauerland" region. Using latest technologies and manufacturing processes enables us to guarantee continuous improvement and optimization of the company environmental protection. Our company's objective is to offer our customers the very best technical solution for their applications while maintaining economic feasibility. Since the company's foundation, more than 2.75 million hopf systems have been in worldwide use. The primary objective is to foster and strengthen the responsibility and environmental consciousness among our employees, the continuous monitoring and optimization of the material and energy input and the careful design and planning of all workplaces and production processes with respect to the relevant environmental elements. In close cooperation with the occupational medical support provided by specialists and safety representatives of the Institute for Occupational Medicine as well as trained first-aid staff at hopf ensure the corporate work and health safety with consideration to labor aspects and laws. Precautions against accidents and relevant safety aspects in the workplace are subject to constant review and adaption by qualified personnel. The production in our modern production facility considering work- and safety-relevant criteria related to the workplace enables the implementation of health and safety aspects. Every single employee of our company plays a key role to hopf's success. We respect every individual's dignity and rights and the cultural, ethical and socio-political diversity of nations and cultures with whom we or our agents maintain business relationships.